Ultrasound of the Week is the brainchild of Dr Ben Smith at the University of Tennessee, Department of Emergency Medicine. 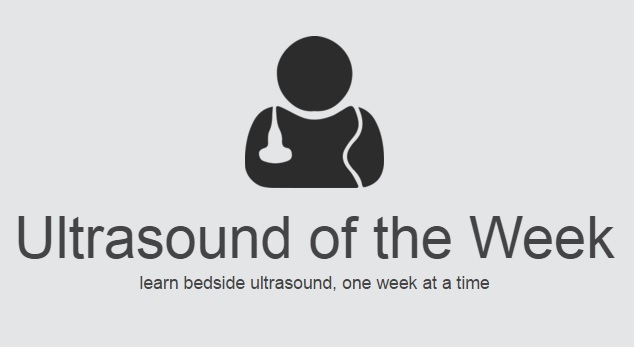 He created this amazing blog as a way to keep his residents thinking about bedside ultrasound throughout their training. Described as a ‘junkie for the critically ill’ his blog leans towards this patient population and aims to improve treatment of the critically ill using this incredible tool. Koh Rong Emergency Services and Medic programme was created by one man who spotted complete lack of medical care for locals and the growing population of tourists in Cambodia. The project’s goal is to inspire and encourage the community to live and maintain safe, healthy lives through education and practice. From teaching first aid to the local community to a 24/7 medic service, this project is about more than healthcare, it’s about improving the lives of the local community. 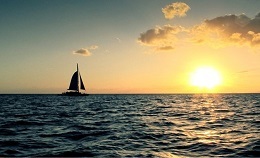 Windfall Films seek medical professionals to take part in a programme where adventurous sea lovers will retrace a famous voyage across the Pacific Ocean. Find out more about this amazing opportunity HERE. This October we’re taking our famous EWM course on the road to Slovenia. The course will be extended to a total of five days. We’ll spend our mornings focusing on lectures, with afternoons dedicated to outdoor skills and specialised workshops. The final night will see us camping wild under tarps, with heaps of camp-fire tales from our faculty and delegates. On the final day of the course you’ll complete an extended search and rescue exercise where all of your acquired skills will be put to the test. 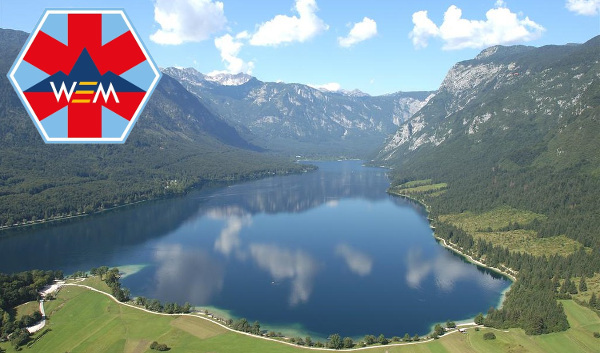 We’ve hired coaches to take you from the airport to the course location, so you just need to get yourself to Ljubljana airport on Sunday 2nd October and we’ll be waiting for you on the shores of the stunning Lake Bohinj. These course will test your physical and mental robustness, while challenging your ability to function in an expedition team. By immersing yourself in these challenging environments you’ll find real cases requiring medical attention, plus you’ll visit medical facilities set up on the mountains and gain an insight into how they work and the challenges medics face. Whether you’re looking for a non-technical ascent, high altitude trekking, a technical challenge or to learn invaluable information about snow-packs, we have something for you! Join our experts for a life-changing high altitude expedition and learn the skills you’ll need to support teams around the world. Not ready for the mountain? Join us this May in Plas y Brenin to lay the foundations of your expedition medicine knowledge. Junior contracts getting you down? See what Katie Owens did with her medical training! Throughout my foundation years I knew that I wanted to have a year to broaden my knowledge of medicine and to gain experience in an entirely new setting, outside hospital, before continuing on to specialty training. At the end of my first year of medical school I volunteered for a charity in Zambia for four weeks promoting health in remote communities, and I also spent one month in Sarawak General Hospital in Borneo for my medical elective. Both of these trips gave me an insight into working abroad and provided the opportunity to combine my passion for travel with my interest in medicine. As a qualified doctor I was keen to work abroad more independently, where my skills would be fully used and I would have exposure to more tropical medicine. My introduction to expedition medicine was a four day course in Plas-y-Brenin in Wales. The course incorporated lectures, practical sessions, and small group sessions on common medical issues; advice for working on expeditions; and specific skills required for expeditions (such as rope skills and navigation). The inspirational speakers had an extensive knowledge of the field. The week after the course I took part in Raleigh International’s gruelling assessment weekend. Raleigh International is a sustainable development charity, giving young people the chance to work in developing countries. During the assessment weekend I had to complete multiple tasks based on expedition scenarios to demonstrate my ability to lead a team while also working as a team member. This was both physically and mentally challenging. Three days later I accepted the dual role of volunteer manager and medic in Tanzania for 13 weeks. As a volunteer manager I was responsible for supporting a group of young people carrying out sustainable development projects and trekking. I also helped set up the trek projects and ensured the success of sustainable development projects on site. Before deploying to Tanzania I attended the Raleigh training weekend for volunteer managers. This training mainly focused on sustainable development, how to provide life coaching to young people on an informal basis, and the main aims and conduct of the charity. There was no specific medical training but pre-reading was provided on common medical problems in expedition and tropical medicine. Recognising that I was likely to come across conditions I may never have seen, I also learnt some specific expedition medicine by reading expedition medicine books. The Oxford Handbook of Expedition and Wilderness Medicine is particularly good. After arriving in Tanzania all volunteer managers had a two week induction before the volunteers arrived. During this time we were given final training and helped to set up the projects. Each expedition is split into three 19 day phases and during the induction phase all of the volunteer managers gave their preferences on whether they would like to work on a particular project or whether they would enjoy leading a trek. I was allocated to work on a project that brought clean water to a remote village. In the second phase I was the field base medic, and, finally, leader of a 20 day trek in the Usambara mountains. Setting up projects included casualty evacuation planning, risk assessments, route planning, meeting project partners, and locating houses suitable for homestay. The evacuation planning was very detailed and included visits to local hospitals, dispensaries, and airstrips to plan for all eventualities. In addition to being able to take patients to these local facilities we also had email and phone advice available from the UK through Raleigh. During induction, medics teach first aid and general expedition health to managers and volunteers, as some groups do not have a medic. 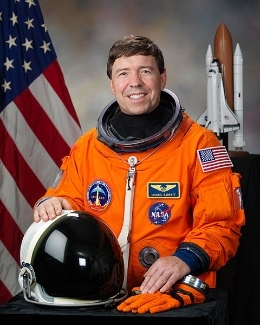 Education was fundamental throughout the expedition and needed to be tailored to the particular environment. For example, living with families meant that hand hygiene and bleaching utensils was essential to reduce the chances of contracting gastroenteritis. As field base medic I travelled to groups without a medic and held medical clinics in remote locations, as well as giving telephone advice, which was a new and rewarding challenge. The main medical problems I encountered were diarrhoea and vomiting, fever, dehydration, rashes, skin infections, wound care, scorpion stings, and mental health problems. Expeditions can be stressful so this latter problem was common, ranging from homesickness to severe depression. Washing a volunteer’s vomit covered clothes and bleaching floors to help reduce a diarrhoea and vomiting outbreak were jobs I hadn’t anticipated. On site you are often the only Raleigh medic available and your nearest medical colleague can be several hours away. However, I was always able to contact the field base medic to discuss patients and get a second opinion (either via mobile, or satellite phone if there was poor reception). Being able to discuss patients with other medics meant that I never felt isolated, and preparing detailed casualty evacuation plans reassured me that I knew how I could get to the nearest health facility if needed. During trekking, foot care and general hygiene advice was essential. In the first few days of the trek we covered feet, hips, and shoulders with a good quality zinc oxide tape to prevent blisters. We also decided to implement daily foot siestas where everyone had to wash, dry, and talc their feet, and as a result we avoided any major foot problems. I missed out on the usual highlights of a trip to Tanzania such as a safari, climbing Kilimanjaro, or a visit to the island of Zanzibar. However, I had an incredible experience working with inspirational people. I gained valuable experience as a leader and working alongside others in a management team. As I was a similar age to some of the volunteers, one of my main challenges was gaining the authority to lead the team. I learnt to be flexible in difficult and remote environments, and gained independence as a clinician. After this expedition I studied for the diploma in tropical medicine in Liverpool, which covered tropical medicine, child health, parasitology, and public health. I hope to use what I learnt from the diploma and my experience in Tanzania in future expeditions and as a trainee doctor in the United Kingdom, where I hope to specialise in genitourinary medicine. It is important to consider the type of expedition before applying for jobs. Recognising your experience and limitations is fundamental. I had not worked as a doctor outside a hospital or general practice setting so wanted to work with a charity that was well set up in terms of risk assessment, casualty evacuation plans, and support in the UK from abroad. 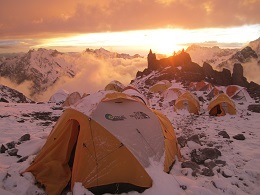 I also wanted to work with a charity that supplied the medical kit and had other doctors on the expedition. I preferred jobs where the doctor was also a manager so that I could challenge myself not only medically but also on an individual level. It is important to factor in buying general kit such as walking boots, a rucksack, and a sleeping bag as some expedition kit is quite expensive. Make sure that you also organise professional medical indemnity—some companies will provide a discount for voluntary work. Competing interests: I continue to do voluntary (unpaid) work at assessment weekends in the UK with Raleigh International and receive travel expenses to get to these events. Johnson C, Anderson SR, Dallimore J, Winser S, Warrell D, Imray C. Oxford handbook of expedition and wilderness medicine. 2nd ed. Oxford Medical Handbooks, 2015. If you’re an adventurous doc & fancy yourself on TV, we have a fantastic role for you! Our friends at Remote Trauma require a doctor for an activity-based TV programme. Role starts in Feb 2015 for 7-10weeks filming in North Africa. Television programme with high risk activities requires an adventurous doctor for 7-10 weeks. Filming begins February 2015 in North Africa. You’ll be working as part of a risk management team and the role may involve some on screen time. Position available for a UK-doctor on an action based expedition television programme with high risk activities. The project is for 7-10 weeks in North Africa working as part of a risk management team. May involve some on screen appearance. Start date February 2015. Please email admin@remotetrauma.com for more information. “Doctor Emergency”! I had seen the blood spattered wheelbarrow parked on the veranda that served as the waiting room and now the sign of the shuffling flip flops told me I was about to meet its occupant. He entered the room uncertainly, supported between his two inebriated friends. The blood soaked tea towel adorning his head giving a big clue as to his presenting complaint. Removal revealed a 7inch gash across his forehead down to the skull. His helpful friends informed me it had been inflicted by an axe, two nights ago, in a fight and they excitedly asked me to examine his leg which had been stabbed by a spear.